VietNamNet Bridge - Vietnam has no startups with value of $1 billion and higher (called unicorns), but foreign investment funds are optimistic about the future. Last year, Lee Jea Woong came to Vietnam seven times. He was one of three founders of Daum Communications, now Kakao. In 2016, he left the company and set up a venture fund and two startup incubators. He is now CEO of Socar. Daum, established in 1995, is now valued at $10 billion, with 4,000 workers, several dollar billionaires and many millionaires. Lee said Vietnam now has favorable conditions to produce unicorns, like South Korea of 20 years ago. “It’s time for Vietnam unicorns to turn up,” he said at the Forbes Vietnam Tech Summit 2019 on March 14. South Korea underwent industrialization in the 1960s, developed an IT industry in 2000s and is now entering the 4.0 industrial era. All three stages are occurring in Vietnam at the same time, which is a chance for Vietnam to make a jump in development. In 1995, South Korea’s GDP per capita was $8,000. And now the GDP per capita in HCMC is $9,000 and the same level is in Hanoi. Vietnam has low labor costs these are not all what Vietnam has. “It will be a farm that breeds unicorns,” Lee said. In 2018, Vietnam’s startups called for investment capital of about $900 million, or three times higher than 2017, according to Topica Founder Institute (TFI). The five business fields which most attracted foreign capital were fintech, e-commerce, travel tech, logistics and Edtech. Fintech was a leader in calling for foreign funds: $117 million was poured into eight startups last year. Analysts predict that the new unicorns in Vietnam will be fintechs. In addition to the attractiveness of the market and strength of startups, investors also see the strong competitiveness of Vietnamese startups over foreign rivals. Bert Kwan, CEO of Northstar Group, said he found a Vietnamese company, which has far fewer resources, outstrip a rival last month. 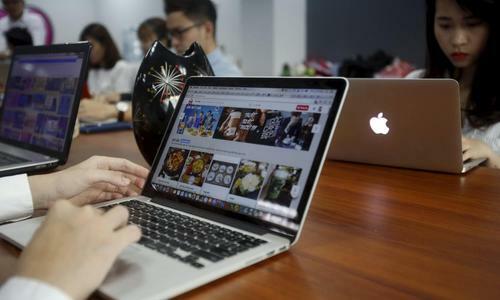 He said that startups in Vietnam are ‘extraordinary’ and ‘amazing’, saying that the country will have technology startups filing an IPO overseas within two years. Nguyen Manh Tuong, CEO of MoMo, is even more optimistic. He believes that after two years, technology startups will list shares on foreign bourses. “Vietnamese startups lack qualified officers. However, things are getting better. Talents have come back,” he said. Some leading universities have begun training in data science, s the labor shortage in the field will ease in three years. Some big startups have also attracted talent from overseas.